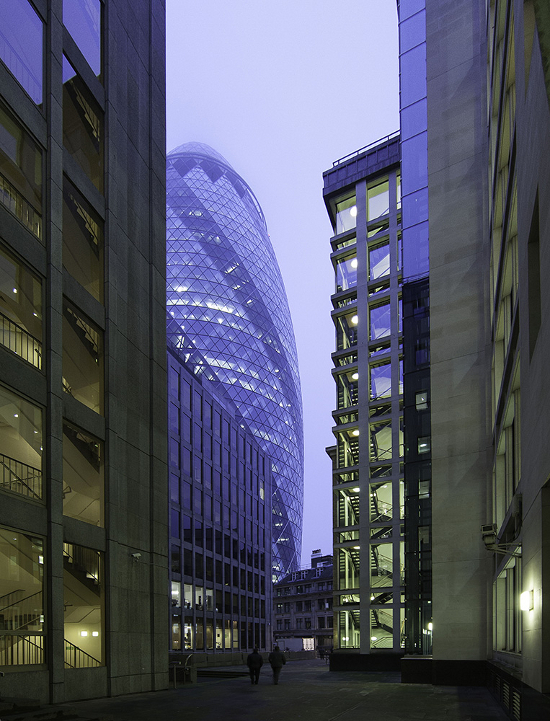 Even as it is becomes crowded by newer and taller buildings such as the Shard and the Walkie-Talkie, the Gherkin (AKA 30 Saint Mark Axe) remains Londoner's best loved tall building [http://www.london-se1.co.uk/news/view/7491]. The building's organic form - which has been said to resemble a gherkin (or a pickle if you're American), is certainly part of its charm, but it is not just for the sake of being quirky. The design also helps conserve energy, making the building more sustainable. The design of the Gherkin is heavily steeped in energy efficiency with many of its features designed to enhance efficiency. Open shafts in between each floor act as ventilation for the building and require no energy for use. The shafts pull warm air out of the building during the summer and use passive heat from the sun to bring heat into the building during the winter. These open shafts also allow available sunlight to penetrate deep into the building to cut down on light costs. 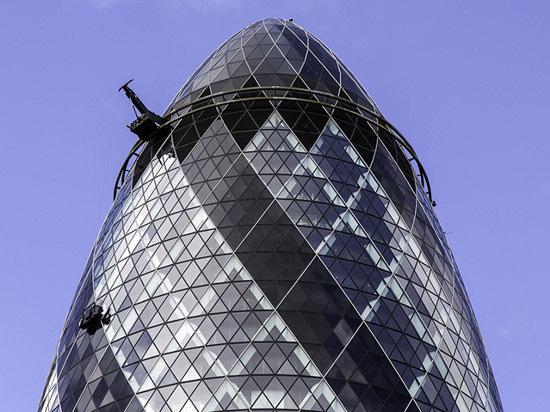 It has been said that 30 St. Mary Axe uses only half of the energy that a similarly sized tower would use.